Aluminum slugs can be stamping into aluminum containers for store cosmetic, this product is called aluminum slugs for cosmetic packaging. Apart from aluminum slugs for bottle, for cosmetic packaging is the most common seen products in our daily life. 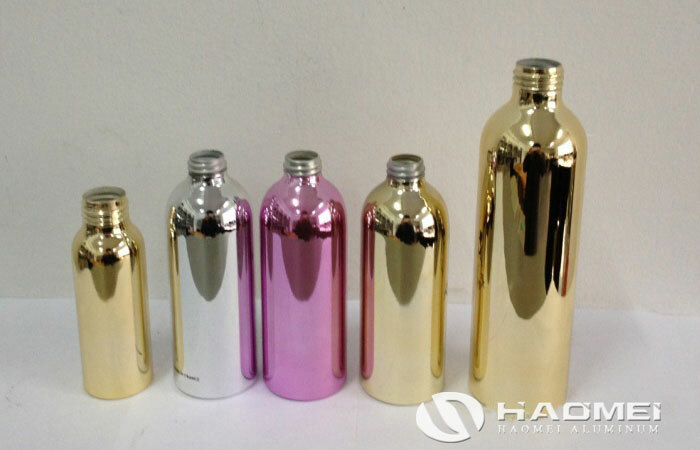 The aluminum slugs for cosmetic packaging can have many shapes, such as tubes, boxes, bottles and aerosol cans. Cosmetic packaging includes lipstick tube, cream box, essential oil bottle, lotion bottle, perfume bottle, etc. The common brand name is 1070 and 3003 aluminum alloy. The cosmetic package stamped out from aluminum slugs has many advantages, such as beautiful appearance and strong structure. The inner and outer paints are produced with environmentally friendly materials, and the sealing performance of the mouth is excellent. Products can be customized according to customer requirements like matt, drawing, mirror oxidation, oxidation of various colors and spray paint and other treatments to meet customer needs. The uniform coating in the bottle ensures that the cosmetics are stored reliably, non-toxic and safe. For aluminum is light and stable, the cosmetic package industry prefer aluminum as the packaging material than plastic and glass, aluminum slugs for cosmetic packaging has been one big applications. Haomei can supply various aluminum slugs alloy for your needs, shape and grade are optional, more information please contact nydia@aluminium24.eu.